The Holberton family appears here on the Man family web site as a result of the marriage on 13 January 1906, at St. Mary’s, Oaklands, Walton-on-Thames, Surrey, between Hubert William Man and Beryl Holberton (right). 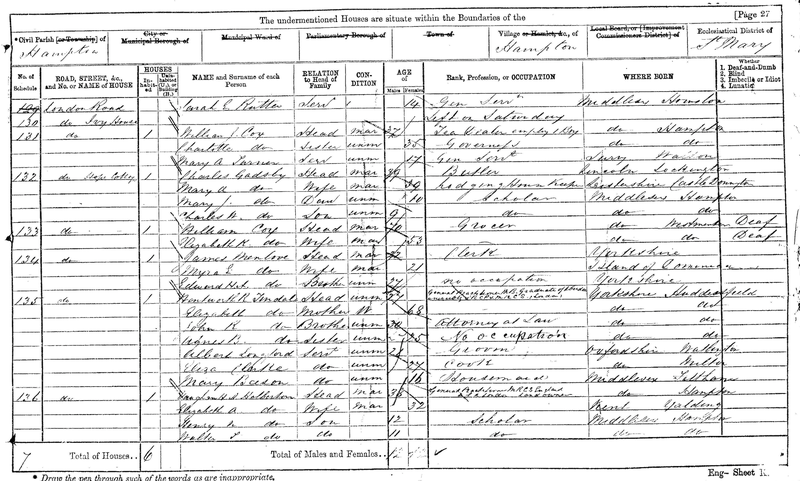 Beryl’s parents were Thomas Nelson Holberton (1833 – 1915) and Amy Frances Clarkson (1855 – 1939). They were married on 9 November 1878 at St Tomas’s Cathedral, Bombay, India. 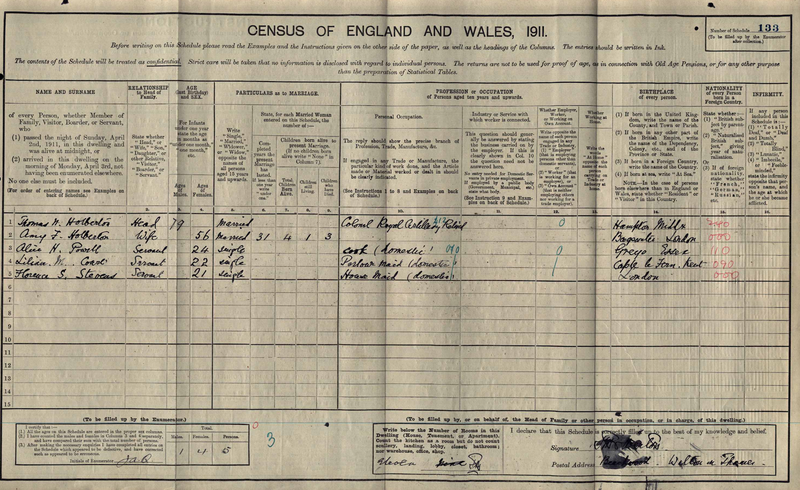 Beryl was born on 21 December 1883. The Holberton family originated in Devon. 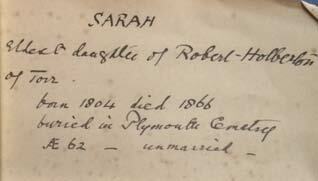 Baptismal records of that branch of the family from which Beryl is descended can be found among the parish records of Newton Ferres, Devon. 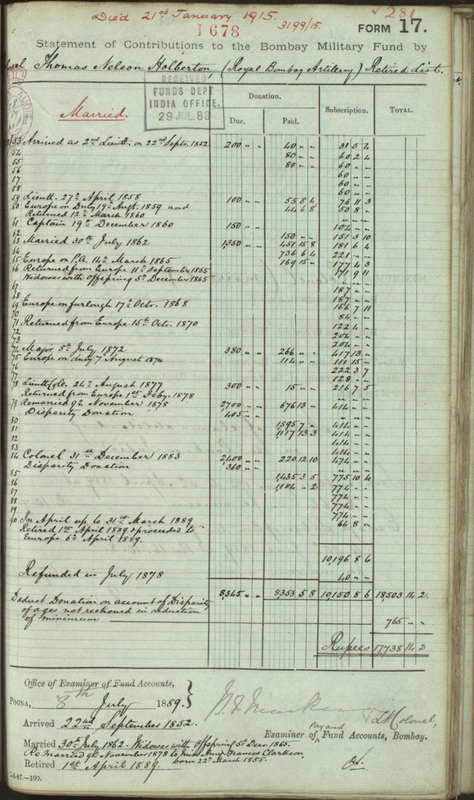 In the 19th century this branch of the Holbertons moved to Hampton in Middlesex and the notes that follow focus on the Hampton Holbertons and not the earlier Devon ancestors. 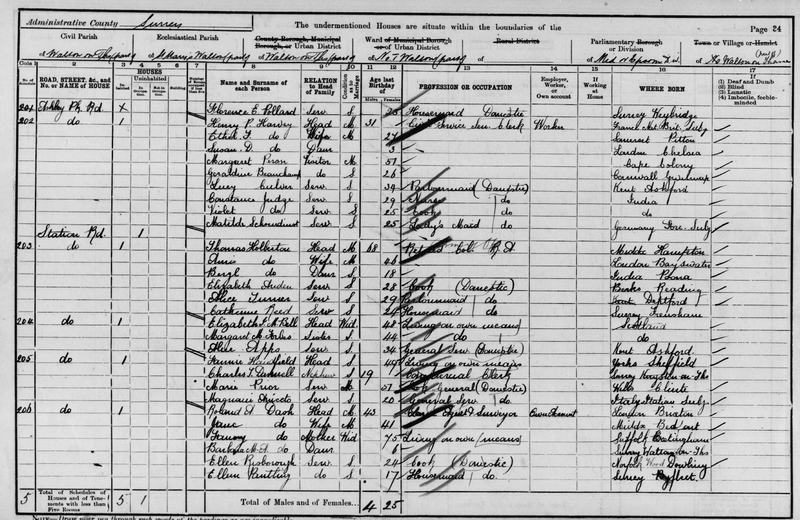 Below is the marriage record for Thomas and Amy (Clarkson) Holberton. Beryl was not an only child, as had been thought. 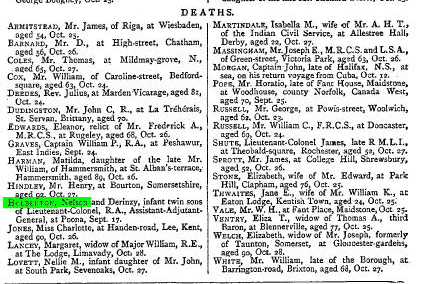 Twins, Nelson and Derinzy were buried on 17 September 1879 who would have been Beryl’s brothers. The announcement below dated 29 October 1879 appeared in The Times. 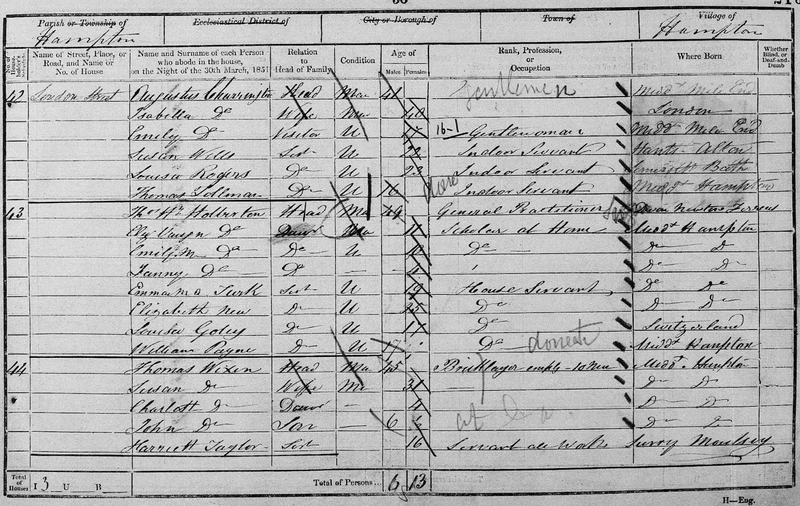 Beryl’s father, Thomas Nelson Holberton, was born in 1833 and was baptised on 17 April 1833 at St. Mary’s, Hampton. Major Holberton served with the Persian expedition of 1856-57, including the storm and capture of Reshire, surrender of Bushire, and battle of Kooshab (Medal with Clasp). Commanded Artillery at the recapture of Kolapore in Dec. 1857 (Medal). 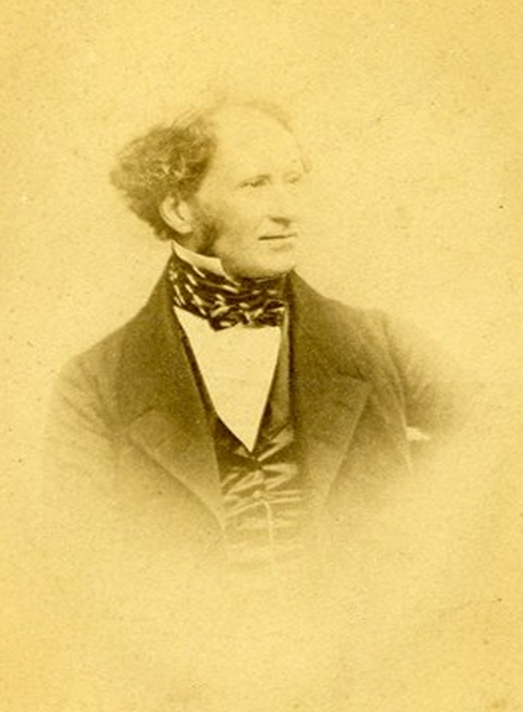 Thomas Henry Holberton (1802 -1855), Beryl (Holberton) Man’s grandfather, was married twice. 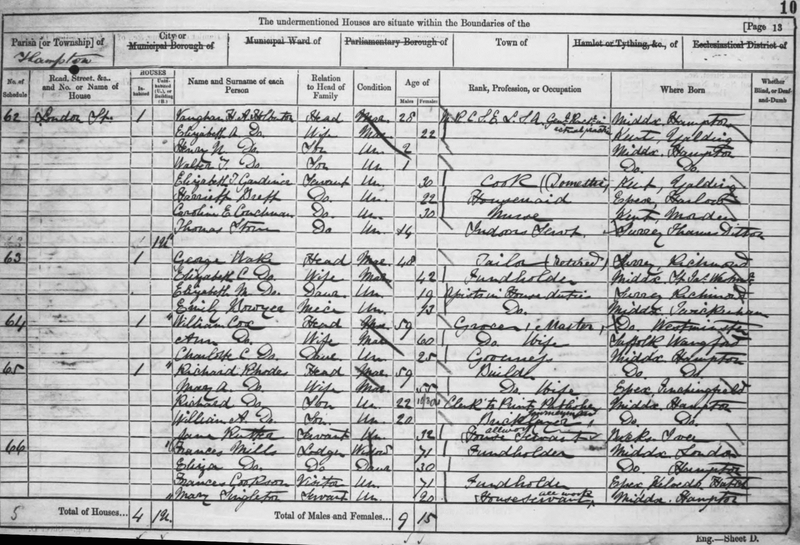 First, to Elizabeth Vaughan Nelson who died young at the age of twenty-four, possibly in childbirth, as Beryl’s father (Henry Nelson) and twin brother (Vaughan Henry Alexander) were born the year that their mother died (1833). 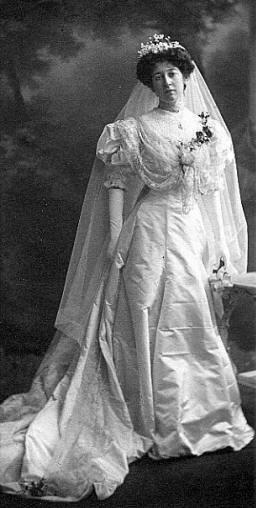 Beryl’s grandfather went on to marry Fanny Hughes Twining. She was the daughter of Richard Twining the famous tea merchant. Details on the Twining family can be read here. 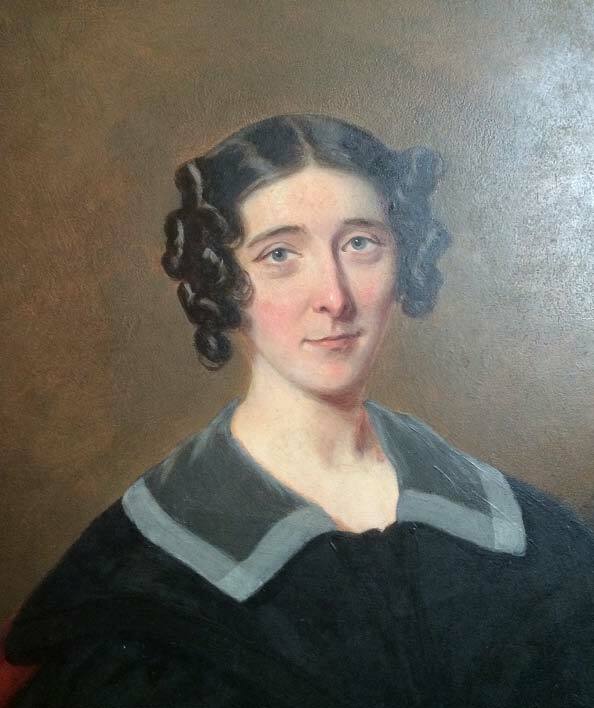 Thomas’s second marriage to Ms. Twining produced at least seven children. Phillip Vaughan Holberton: Like many families, war brought tragedy and among the Holbertons this included Phillip Vaughan Holberton son of Edward Robert Holberton. 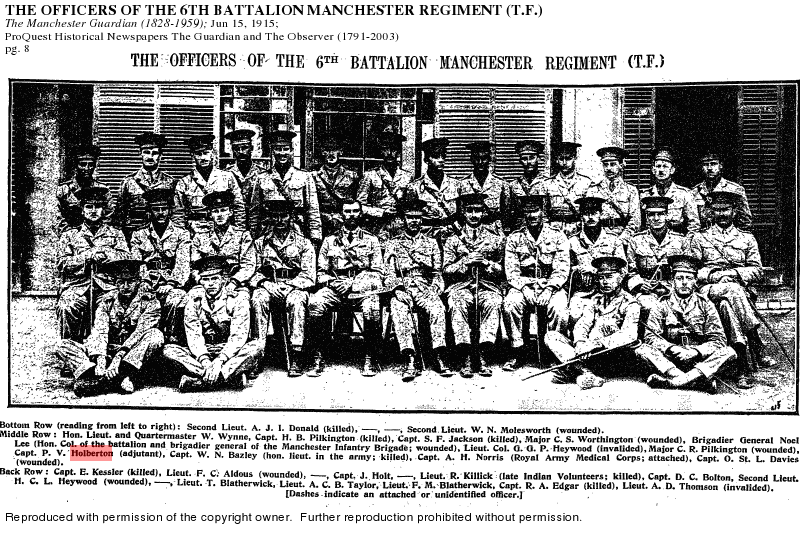 Philip was killed on 26 March 1918. Two of his brothers, Richard Bartle and Robert Francis (1873 – 1937), emigrated to the United States and initially settled in Virginia. In the notes that follow the descendants of Richard and Robert are referred to as the American branch. The Holbertons who moved to the US are descended from the second (Twining) marriage.